Building a music streaming service might not seem as daunting as launching a VoD service. The content in itself being not so data intensive creates a general perception that it’s easier to launch and run an online music streaming platform. Contrarily, that’s not the case. 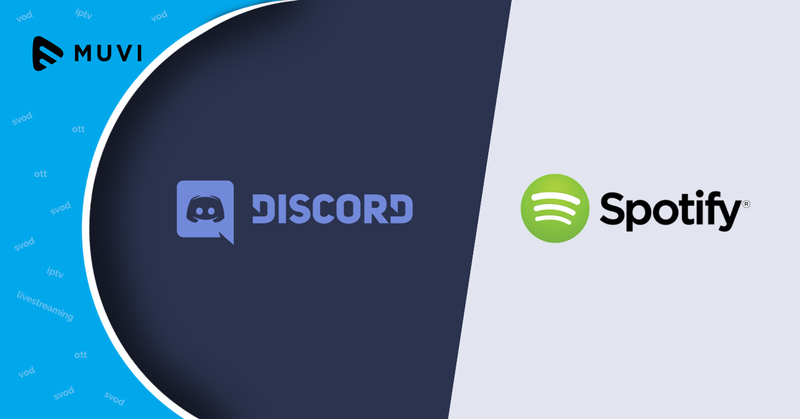 Although there aren’t as many players offering music streaming as that offering video streaming, there are a few differentiators that can build businesses as big as Spotify. Before you can launch your own music streaming service, there are a few customer-centric questions that need to be addressed. Whether your music app will make it big is quite a function of what your customers are looking for. Since users are willing to spend $10 per month on music, they definitely have a thing or two to consider while evaluating and choosing, and before making a payment for the subscription. 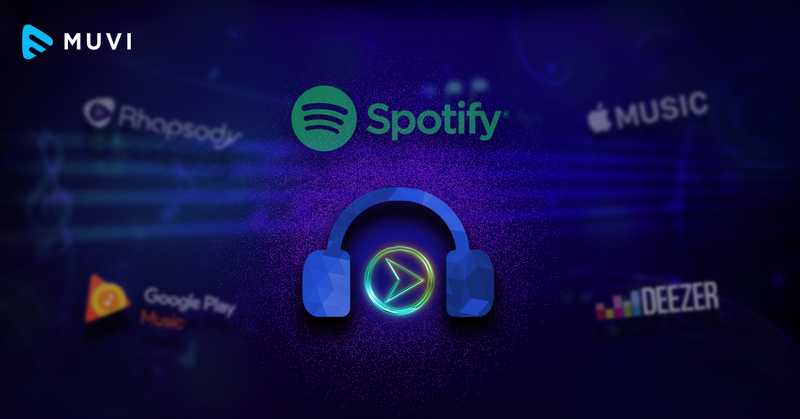 There are many music streaming services around the world currently, such as Spotify, Rdio, Apple Music, Rhapsody, Google Play Music, Tidal, Xbox Music, Deezer, Napster, etc. They may seem pretty similar in terms of monthly subscription charges, unlimited streaming, multi-device support, etc. and therefore can be tough for users to decide which one to pick. Before you begin development, you must prepare a blueprint of the business concept. Play with the numbers and come up with differentiating factors that make your app special and user-friendly. The music streaming business is quite lucrative but that’s not reason enough to be spending all you got for developing a killer application. You need to study who your target customers are, define the buyer persona, prepare a pitch accordingly, and adjust the application. Licensing is a very niche and protected business space where entry barriers are quite high. It’s very tricky to get the reasonable quote for certain rights. Licensing will directly implicate the volume and quality of your music catalog, and thus, is the most crucial component of your acquisition budget. There are different licensing bodies across the world. In the U.S. audio license is called Public Performance Rights and handled by The American Society of Composers, Authors and Publishers or Broadcast Music Incorporated. In Europe, it is dealt by the European Stage Authors and Composers. Now it’s time to come to the actual work and choose a team who will build an app for you. There are a lot of factors to consider, such as platform capabilities, ease of integration and deployment, library protection, strong delivery network, cost, etc. While your music streaming app is in the development stage, let’s look at the critical attributes that you must consider including. A user cannot be an alien; they must be authorized on your system. You must have their basic information, and credentials by means of a registration or sign-up process. But it should not be a pain for them; make it an effortless process by using email authenticator or social media sign in. There should be a wide variety of music categories, and playlists, that can be edited using settings and options depending on their moods, current activities, genres, etc. Let your users follow their favorite artists, add friends and engage with them. Let them share songs and highlight favorite tracks on a social feed. The way it works now is that people want news from their favorite sources. In a social community-based app, this is how content can be spread and you can receive more hits. Push notifications are a good way to promote such user engagement in the feeds. Let your app throw suggestions for curated playlists that you can create at the service owner’s end. It is also a great idea to facilitate user-generated playlists which allows your listeners to create personalized playlists or be able to edit default playlists by easily enqueuing tracks of their choice. Users always prefer uninterrupted streaming experience. Factors such as disruptive data coverage or poor bit-rate management are hindrances in the way of providing seamless music streaming. So, your app should support offline streaming or a download-to-own option using which your users can enjoy continued listening on-the-go. What’s in your music library? Perhaps, the most important factor that’s quite an asset for the top music-streaming services, is your content catalog. A rich catalog is generally anywhere between 20 million to 30 million songs, but it’s not just about the volume. While most music subscription services have comprehensive libraries, there still are some significant gaps. Some miss out on classics, while some others do not include latest releases. A good competition must identify this gap and act upon it. How can your customers stream? Almost every music streaming service has launched their own apps for iOS, Android, and Windows so that the popular trend of streaming on-the-go via your phone becomes the most convenient option. However, it’s also a plus to be able to stream on a computer through a Web app or a dedicated desktop application. Depending on the service, one of these streaming media might be better than the other. For example, Spotify’s desktop app has more features and keyboard controls, than its Web player. Some services also sync up with home audio devices, such as Sonos players and select smart TVs. Spotify and Xbox Music catalogs can be played on the PlayStation or Xbox. Also, there is now a growing support for Home Assistant speakers such as Amazon Echo and Google Home. Another aspect of streaming that’s now become a necessity is the ability to sync up to your car’s music system. Apple Carplay and Android Auto support are an essential as people like to listen on-the-go. Almost all the audio streaming services offer a free trial period, generally up to around a month. Apple Music, however, offers a three-month free trial. Users always look for free subscription period, and they do not like to be committed or held by some policy. They like to be in control of when they can cancel their subscription and move away. As a platform owner, it might not make business sense for you to facilitate this tendency, but it’s a good way to empower your subscribers; that in turn, will create brand love. Do you offer umbrella plans or special discounts? Some services offer umbrella plans such as family pricing, hostel room pricing, etc. making it cheaper for multiple users in a household or a premise to stream together. Spotify offers a 50% discount for each person you add to a Premium account; that’s a saving of $5 per person. Both Apple Music and Google Play Music allows up to six streamers to share the same membership for a total of $14.99 per month. Rhapsody offers account sharing using a single sign-on. 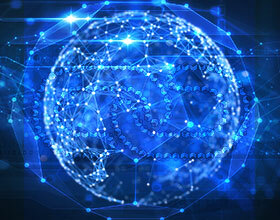 Is your service available in all geographies? Launching in a single country is one thing, and fairly simple, but the audience is limited, and so is your liability. But big players such as Spotify, Rdio, Apple Music, Tidal, Google Play Music, etc. are available in several countries around the world. So, international listeners and frequent travelers find it worthwhile to subscribe to such services. Spotify is at the top with more than 40% market share. Spotify works very differently from many other music services available online. It aims to make your listening time as comfortable and seamless as possible. Spotify stores its music on various servers and calls a random track on one of the million servers and heads it to your device, but they do it seamlessly. Interestingly, the streaming service uses server cache that reduces latency to enable faster delivery. This concept is much more effective than bombarding servers with endless requests to download a particular track. These “haves” aren’t exhaustive, of course. Consultants will have varied opinions for different scenarios. But as the business owner, make sure you get the music app right. That get’s half the job done. That’s going to be your weapon to gain competitive advantage. So, go ahead and build our own Spotify.